Humanity has been building roads for thousands of years; in a very real sense, they tie communities together with one another as well as the outside world. Roads function as the lifelines of villages, towns, communities, regions, and countries across the face of the globe, letting commerce flow in and out, bringing goods and services to people wherever they may live and facilitating travel. Consequently, the art of road construction has been along nearly as long as civilization has. 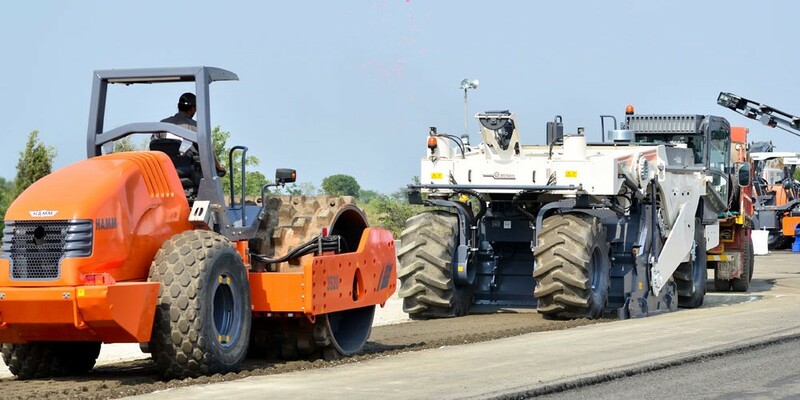 However, it is only in recently years that technological advances in chemistry and other sciences have enabled the development of dust control and soil stabilization products that have the potential to revolutionize the road construction industry. No Invasive Quarrying and Easier Logistics – As Global Road Technology products rely on environmentally friendly chemical methods to provide soil stabilization and dust control, they do not need much if any outside material to be quarried to build the roads. This means there will be little to no invasive mining or quarrying done in the area, and the logistics of the project are simplified as well as there is substantially less material to move. Lowered Environmental Impact – The dust control and soil stabilization products of Global Road Technology result in hugely lowered environmental impact compared to traditional road construction methods. Fewer emissions from trucks moving material, less fresh water used during construction, and construction project dust kept under control result in cleaner air and water around construction sites. Less Bothersome to People & Communities – Another major benefit of road building using Global Road Technology and their environmentally friendly chemical soil stabilization and dust control products is that the building process is significantly less bothersome to people and communities. This should result in a drastically lowered level of resident complaints, as there is less traffic and disruption to the community during the road construction project. Taken together, the various products and techniques of Global Road Technology have the potential to completely revolutionize the road building process. They permit construction in hostile areas inhospitable to traditional construction, impact the environment and communities less than regular building methods, and are an excellent choice for any municipality or organization looking to build high quality infrastructure at a reasonable cost and employ local people with-in the community.